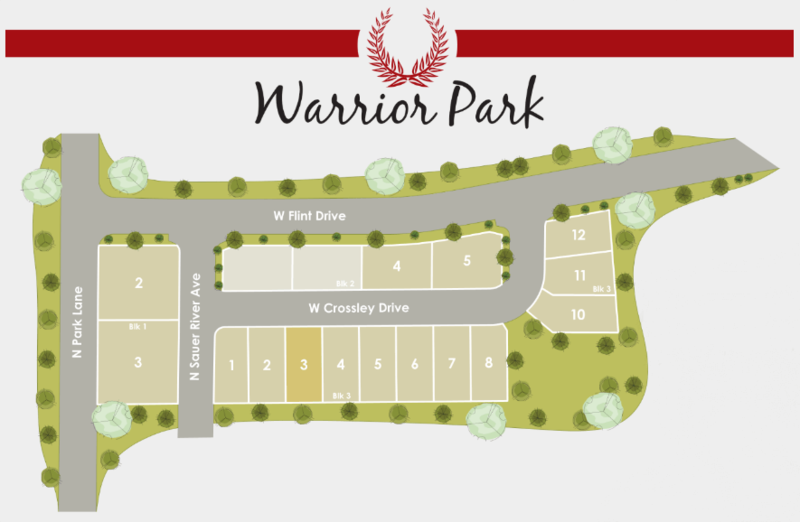 The Warrior Park subdivision offers new homes for sale in Eagle, Idaho. "Easy access to Highway 44, and near Eagle High School, Eagle Island State Park, and just minutes to downtown Eagle." Learn more about Warrior Park real estate below. Searching for the ideal new home in Eagle? Browse our complete guide to new Eagle subdivisions to find your perfect community. Homesites: 14 building lots ranging in size from 0.12 acres (5,227 Sq. Ft.) up to 0.13 acres (5,663 Sq. Ft.). From Eagle Rd head West on State St/HWY 44. Turn right (north) on N Park Ln. Turn right (east) on Flint Dr then right on W Crossley Dr. If you would like additional information about a particular Warrior Park real estate listing, or any other home for sale in Eagle, ID, contact us online or call (208) 391-4466.